Museums, stately homes, art dealers and auction houses all have something to offer, starting this month. 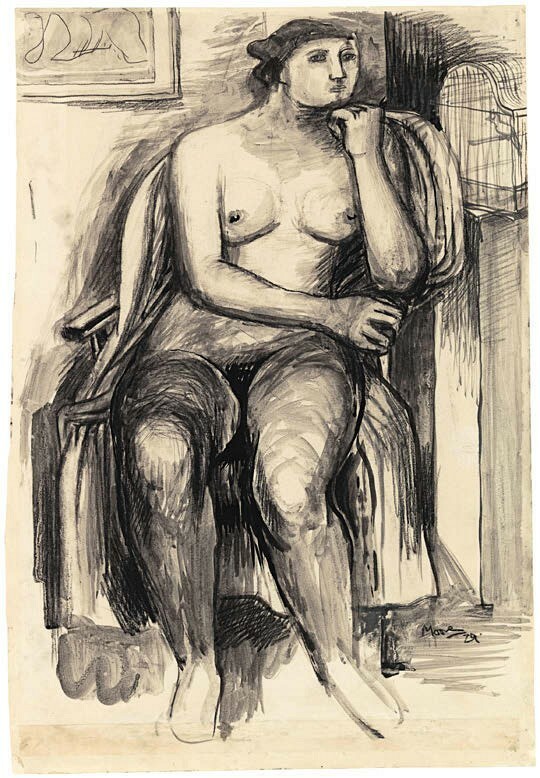 The Henry Moore Foundation is hosting Henry Moore Drawings: The Art of Seeing which is the largest exhibition of his drawings in more than 40 years. Held at Moore’s former home in Perry Green Hertfordshire, it is on until October 27. Beginning on May 1, the first significant exhibition of Moore's work in East Anglia will take place at Houghton Hall. Called Nature and Inspiration, it runs until September 29. The event is in collaboration with The Henry Moore Foundation. 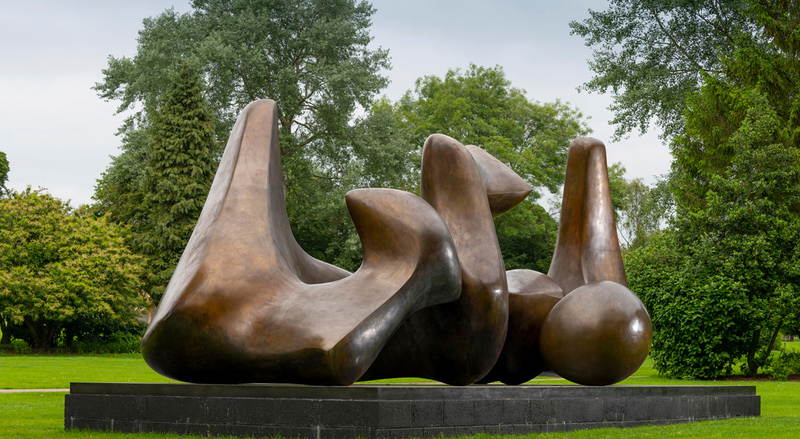 The Henry Moore exhibition at Houghton Hall called 'Nature and Inspiration' runs until September 29. Another museum exhibition, this time in London, focuses on his Helmet Heads, which is on at the Wallace Collection in London until June 23. Running from May 3-June 15 at Mayfair gallery Connaught Brown, a selling exhibition focuses on Moore’s surrealist roots and his legacy in sculpture. Henry Moore: The Influences and Influenced. It is shown alongside those of other 20th century masters who worked with him early in his career and those who reacted to him later, either in revolt or reverence. Around 20 works are offered for prices ranging from around £50,000-600,000. In the last two years Moore has made several top-level auction results, too, but according to some it could be a good time to acquire some of his works. A number of salerooms have Moore works coming up for sale including today at Chiswick Auctions and at Dreweatts on May 1. Hansons has recently consigned a limited edition etching for a future auction. Earlier this month Christie’s in London held the exhibition Henry Moore: The Shape of Things at King Street, showing more than 30 artworks.